Keep your blood sugar level in check with our FREE Accu-Check Screening on every other Friday between 9am – 11am. When you digest food, your body changes most of the food you eat into glucose (a form of sugar). Insulin allows this glucose to enter all the cells of your body and be used as energy. 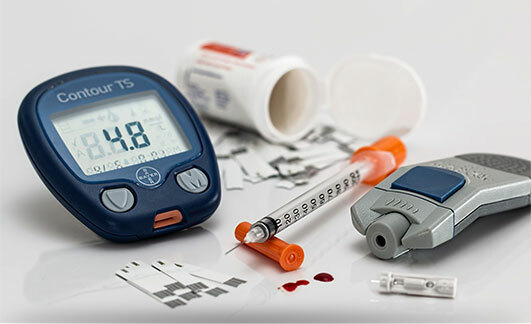 When you have diabetes, your body doesn’t make enough insulin or can’t use it properly, so the glucose builds up in your blood instead of moving into the cells. Too much glucose in the blood can lead to serious health problems.